I call my father in law Grandfather – or Gramps, for short. 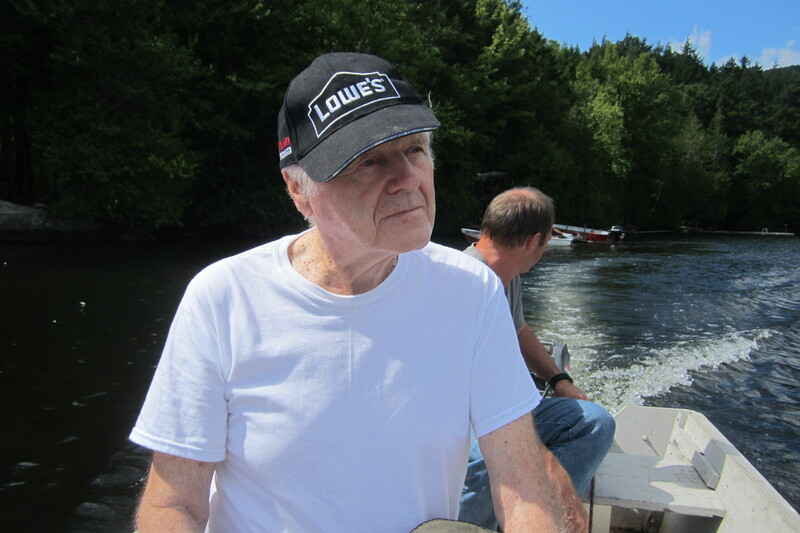 Today my dear husband took Gramps to the doctor in Bangor while I stayed home and, like a good Maine woman, stacked a cord of wood, did laundry, cleaned the house and baked a cake. All things which I enjoy, by the way. Going to the doctor, in this case, is not a trip across town. It takes close to two hours to get from our picturesque town of Greenville (population 1400) to Bangor. So it is somewhat of an event. Actually, life with Grandfather is an event and today was no different. He came home from the doctor happy as a lark. As he recounted the day’s events I shook my head. In the doctor’s office he met the receptionist who was pretty, young, blonde and kind. He found out her name was Deborah.That was enough to get him going. ” Well”, he said,”the first white woman in Greenville was named Deborah. She was my great great great grandmother. She came to Greenville as a widow with three children to take care of her father, Nathaniel Haskell. Well, she lived there among the Indians and settlers and all. One day an Indian came to the door and demanded some meat to eat. ‘I’ll go ask my father’, she said. She went upstairs to the small room up there, put her feet in her father’s shoes and stomped around the room, speaking in a deep voice at times. So Gramps had a good time telling the receptionist this story and a few others. As he left, he looked back at her, smiled and said, ‘Thank you, Deborah, you have done my testosterone so much good.’ Everyone in the place burst into laughter and Gramps came home a happy man. Another day in life with Grandfather.